Showing 8 articles from January 25, 2015. Both Raymond and South Bend school districts have been confirmed to have students with cases of Varicella, or chickenpox. If you have not seen it, you will start to notice the clean up and refurbishing at the old H & R Block office building along Highway 101. 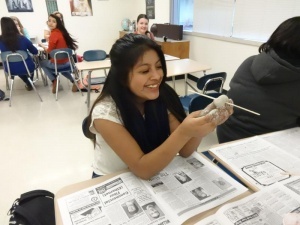 Photo by Kayla Camenzind Stephanie Loza had fun playing with clay during an art lesson on sculptor Michelangelo and the Renaissance. Inspired by Michelangelo, students created their own sculpture creations. Earlier this month, South Bend Junior High School began a series of art history lessons given to the eight grade class. Starting this month, the eighth graders will participate in an art lesson once every three weeks until the end of April. The Valley boys had a tough time when they traveled to Life Christian Academy. Seeing size as a disadvantage, the Vikings figured their only advantage was speed, and quickness, but it seemed Life Christian was still faster. 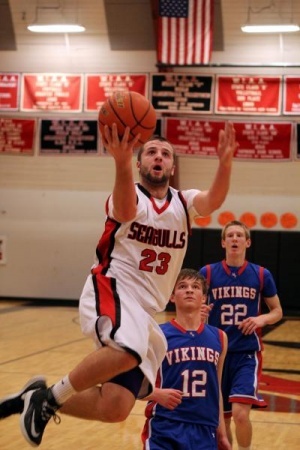 Raymond's Elliot Murdock takes flight during the Seagull vs. Vikings game Jan. 20. Raymond hits three wins in a row, looking for their fourth and more. The season is coming to an end as District play starts Feb. 10. For the Raymond Seagull boys basketball team it is three in a row as they run toward the end of the basketball season. Seagull Cydney Flemetis finds an open basket making it past the Bulldog defense of Myranda Floch and Cheyann Bartlett. 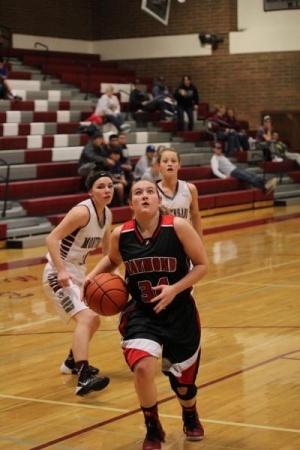 MONTESANO - In a scheduled non-league game against the 1A Evergreen League leading Montesano Bulldogs, the Lady Seagulls of Raymond had a physical battle that still left them with a smile on their faces. 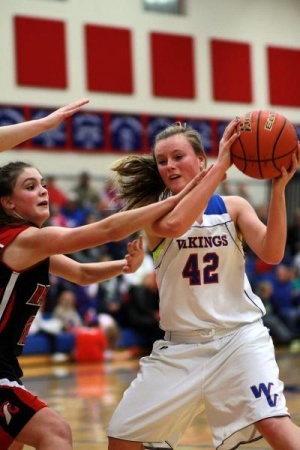 Photo by Larry Bale Raymond's Mikayla Collins guards Willapa Valley's Traci Hoffman. The Valley girls collided with the Lady Gulls on Thursday, January 22, at their home gym. Fire destroyed a story and a half dwelling house on Larch Street, north of Riddle Avenue, in Riverdale addition, about two o' clock last night.